DAN ARONSON is Chairman & CEO of Fandor, an online movie service that provides access to a curated global library of independent films. Dan has been at the forefront of technology since the 1980s, when he began building supercomputers at Thinking Machines Corporation. 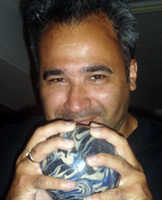 Prior to founding Fandor, he was an early employee at WAIS, the first internet search engine company, and went on to help manage AOL’s servers following its acquisition of WAIS. 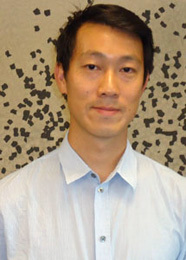 Dan co-founded anti-spam company Brightmail and internet incubator Campsix. He has served on the boards of City Car Share and networked music player company Slim Devices. MICHAEL BARKER, Co-President and Co-Founder of Sony Pictures Classics (with Tom Bernard), which celebrated its 20th anniversary this past year, has distributed (and quite often produced), some of the finest independent movies over the past 30 years. Previously he was an executive at United Artists (1980-1983) and went on to co-found Orion Classics (1983-1991) and Sony Pictures Classics. Over the span of his career, Barker’s films have received 135 Academy Award® nominations including several for Best Picture: Amour; Woody Allen’s most successful film of all time, Midnight In Paris; An Education; Capote, for which Philip Seymour Hoffman won the Academy Award® for Best Actor; Crouching Tiger Hidden Dragon, recognized as the highest grossing foreign film of all time in North America; and Howards End. His company’s Academy Award® nominations resulted in 29 wins including five for Best Documentary Feature, most recently for Inside Job and Fog of War, and 12 for Best Foreign Language Film, which include Babette’s Feast, All About My Mother, The Lives Of Others, and A Separation. Other notable award wins include 35 Independent Spirit Awards and 18 Golden Globe® Awards. Barker has collaborated with some of the world’s finest filmmakers including Woody Allen, Pedro Almodovar, Louis Malle, and Zhang Yimou, all of whom he’s worked with on multiple occasions, as well as Robert Altman, Michelangelo Antonioni, Suzanne Bier, Ingmar Bergman, Francis Coppola, David Cronenberg, Guillermo del Toro, the Dardenne brothers, Jonathan Demme, R W Fassbinder, Michael Haneke, Nicole Holofcener, Akira Kurosawa, Norman Jewison, Ang Lee, Richard Linklater, David Mamet, Errol Morris, Roman Polanski, Sally Potter, Francois Truffaut and Wim Wenders. Over the years, Barker has released features from American masters (Rachel Getting Married, Sweet And Lowdown) and new American filmmakers (Take Shelter, Pollock, Slacker, Welcome To The Dollhouse, Frozen River); cutting edge films (Kung Fu Hustle, Moon, Orlando, Run Lola Run, The Raid: Redemption); animated features (The Triplets Of Bellville, Persepolis, Waltz With Bashir); feature documentaries (Dogtown And The Z Boys, Crumb, Winged Migration, It Might Get Loud) and foreign films (Ran, A Prophet, White Ribbon, Talk To Her, Central Station, Wings Of Desire).. He and his colleagues have also restored and theatrically reissued some of the great films of the past, including The Passenger, The Garden Of The Finzi Continis, Murmur Of The Heart, and the classic films of Indian master Satyajit Ray. 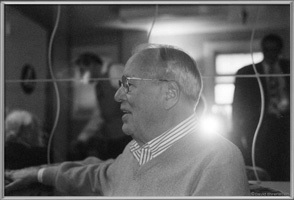 Barker has been recognized for his work, and has received the Honors Award from the Directors Guild of America, the insignia of Chevalier of the Ordre des Arts et des Lettres from the French government, the FINDIE Spirit Award in LA, the GLAAD Media Award, a retrospective at the George Eastman House in Rochester, New York, and the Gotham Industry Lifetime Achievement Award from the Independent Feature Project in New York. Additionally, under his leadership Sony Pictures Classics received the Special Recognition Award from the Sony Corporation CEO (1999 and 2000). 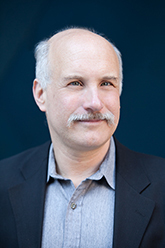 He currently serves on the Board of Directors of the Museum of the Moving Image, the Entertainment Media and Technology Dean’s Advisory Board at the NYU Stern School of Business, the Visiting Committee to the Division of the Humanities at the University of Chicago, and has served as Adjunct Professor at the Columbia University School of the Arts Graduate Film Program. He has a BSc from the University of Texas. Recent releases include Rust And Bone, West Of Memphis, Amour, Hysteria, To Rome With Love, Neil Young Journeys, Searching For Sugarman, Celeste And Jessie Forever, No,The Gatekeepers, and Smashed (James Ponsoldt). Upcoming releases include I’m So Excited, At Any Price (Ramin Bahrani), The Company You Keep, Wadjda, The Patience Stone, Fill The Void and Blue Jasmine. At Sundance 2013, Sony Pictures Classics most recently acquired Kill Your Darlings, Austenland, and Before Midnight (Richard Linklater). 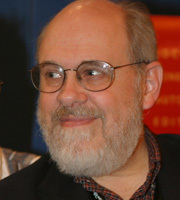 DAVID BORDWELL is retired from teaching at the University of Wisconsin Madison. He has written several books on film aesthetics and history, most recently Poetics of Cinema (2007), Planet Hong Kong: Popular Cinema and the Art of Entertainment (2nd edition, 2011), and Pandora's Digital Box: Films, Files, and the Future of Movies (2012). He and Kristin Thompson, who collaborated on Film Art: An Introduction (10th edition, 2012), write about film regularly at David Bordwell’s website on cinema. Some of their online essays have been collected in Minding Movies: Observations about the Art, Craft, and Business of Filmmaking (University of Chicago Press, 2011). JIM EMERSON is a writer and film critic whose film experience includes screenwriting, producing, editing, exhibiting, marketing, publishing, journalism, criticism, video essays and academic study. He is the founding editor-in-chief of and a contributor to RogerEbert.com, where he has a blog called Scanners and oversees The Demanders blog. He also tweets @jeeemerson. In the mid-1990s Jim was the editor of Microsoft Cinemania, a multimedia movie encyclopedia on CD-ROM and the web, which is where he first started working with Roger. He has contributed to old media and new. C.O. “DOC” ERICKSON, an executive producer, has over fifty years' experience as a producer and production manager on many of Hollywood's biggest films. He began his career at Paramount Pictures, serving as production manager on five Alfred Hitchcock films: Rear Window, To Catch A Thief, The Trouble with Harry, The Man Who Knew Too Much and Vertigo. He left Paramount to become John Huston's associate producer on The Misfits, Freud and Reflections in a Golden Eye. He was production manager on Joseph L. Mankiewicz's Cleopatra. He also spent three years supervising film production for Brut Productions and later became associated with Robert Evans on Chinatown, Players, Urban Cowboy and Popeye. Other producer/production credits include 55 Days at Peking, Blade Runner, Groundhog Day, Fast Times at Ridgemont High, Magic and The Lonely Guy. 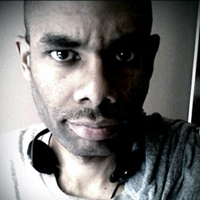 KEVIN B. LEE is a film critic, filmmaker, and producer of over 100 video essays on film and TV. 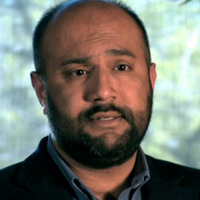 He is founding editor and chief video essayist at Fandor Keyframe and founding partner of dGenerate Films. Kevin has contributed to Ebert Presents, Sight & Sound, and the Chicago Sun-Times. He tweets at @alsolikelife. SHEILA O’MALLEY received a BFA in theater from the University of Rhode Island and a Master's in acting from the Actors Studio MFA Program. 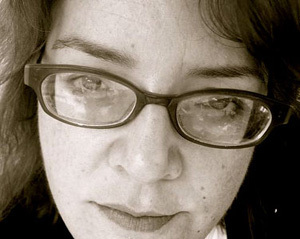 She writes film reviews and essays on actors for Capital New York, Fandor, Press Play, Noir of the Week, and The House Next Door. Her work has appeared in Salon.com and The Sewanee Review, where her essay about her father was featured in an Irish literature issue. Sheila has performed her one-woman show 74 Facts and One Lie all over Manhattan. She has read her personal essays at the prestigious Cornelia Street Cafe Writers Read series. Sheila writes about actors, movies, books, and Elvis Presley at her popular personal site, The Sheila Variations. Her first play, July and Half of August, recently had public readings at Theater Wit in Chicago and the Vineyard Theatre in New York. She is currently working on her second play, as well as a book about Elvis Presley in Hollywood. MICHAEL PHILLIPS iis the Chicago Tribune film critic. He co-hosted 100 or so episodes of the long-running nationally syndicated TV series At the Movies, first opposite Richard Roeper, then A.O. Scott. He started out his career writing about movies for the Twin Cities weekly City Pages. 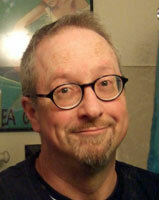 He covered theater and film as a staff writer for the Los Angeles Times and the San Diego Union-Tribune. He appears monthly on the Filmspotting podcast, and is also heard on Chicago Public Radio WBEZ-FM (91.5). This September he returns to Turner Classic Movies to host Friday Night Spotlight. He owes a lot to Roger Ebert, and is honored to be a part of this year’s Ebertfest. ERIC PIERSON is a film and TV teacher and scholar, with a strong interest in the ways that film and TV shape popular culture. He teaches in the Communication Studies Department at the University of San Diego, where he also serves as department chair. Eric has written on a variety of topics that range from film distribution in the 1970s to hate group recruiting via the Internet. Among the journals in which his work has appeared are Screening Noir and The Journal of Mass Media Ethics. His most recent work, "The Promise of Roots," appears in the book Watching While Black: Centering the Television of Black America, which published in January. Eric can also be seen in the documentary Infiltrating Hollywood: The Rise and Fall of the Spook Who Sat By The Door. Eric is a graduate of UI with degrees in Theater and Communications. DAVID POLAND is the creator and publisher of moviecitynews.com, host of the half-hour online interview series DP/30, and he still finds time to stir it up daily on The Hot Blog. 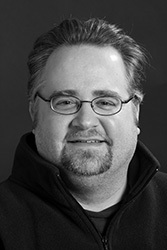 STEVE PROKOPY is the Chicago editor for Ain't It Cool News, where he has contributed film reviews and interviews under the alias 'Capone' since 1998. He is also a frequent guest on Chicago Public Roadio's Filmspotting movie review show. Steve received a BA in journalism from Northwestern University in 1990. 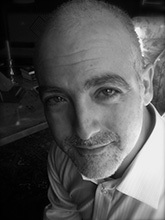 MATT ZOLLER SEITZ is the TV critic for New York Magazine and Vulture.com and a finalist for the Pulitzer Prize in criticism. He is the founder and original editor of the influential blog The House Next Door, now a part of Slant Magazine, and the founder and publisher of Press Play. Matt has written, narrated, edited or produced over 100 hours’ worth of video essays about cinema history and style for The Museum of the Moving Image, The L Magazine, Vulture and Press Play, among other outlets. His 5-part 2009 video essay Wes Anderson: The Substance of Style was later spun off into the hardcover book The Wes Anderson Collection, which will be published in October 2013 by Abrams Books. Matt is the director of the romantic comedy Home, several short films, and a forthcoming science fiction epic that will be shot in his apartment.He is currently writing a memoir about his marriage titled All the Things that Remind Me of Her. He lives in Brooklyn with his two children. 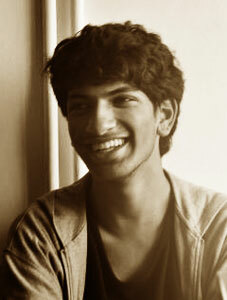 KRISHNA BALA SHENOI is an 19-year old Indian boy who has been obsessed with movies for as long as he can remember. He's a lover of Steven Spielberg, Ray Harryhausen, movie soundtracks, superhero films, the Eels, and his mother's food. His passion for film viewing and film making began early on. When he was 7 or 8, he used to make home movies with an old Sony camcorder, building blocks, clay models, or whatever he could find, employing very rough stop-motion animation techniques. Today, he studies at Srishti School of Art, Design and Technology in Bangalore, and still creates short films, animations, paintings and digital art, all of which you can see on his website, krishnabalashenoi.wordpress.com. He is extremely proud, and slightly intimidated, to be Roger Ebert's youngest FFC and will be coming to Illinois from Bangalore along with his mother for his third Ebertfest. 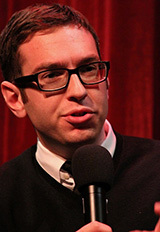 MATT SINGER is a Webby-award-winning writer and podcaster. He currently runs the Criticwire blog on Indiewire, reviews films for ScreenCrush.com, and co-hosts the Filmspotting: Streaming Video Unit podcast. 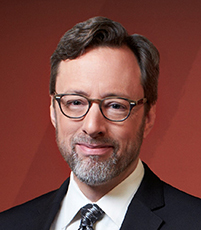 For 5 years, he was the on-air host of the IFC News and a regular contributor to its website. 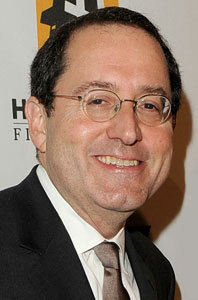 His criticism has appeared in the pages of The Village Voice and Time Out New York and on Ebert Presents. He lives in Brooklyn with his wife, dog, and a prop sword from the movie Gymkata. Follow him on Twitter @mattsinger. GERARDO VALERO is Roger’s FFC from Mexico City, where he lives with his wife Monica. He’s been following Roger since the mid-1980s, collecting his Movie Yearbooks since 1989 and contributing entries to his Little Movie Glossary for the past twelve editions. Since 2009 Gerardo has been writing essays for RogerEbert.com, and for the last two years has been writing a daily blog on Mexico’s Cine-Premiere Magazine. 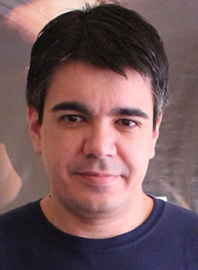 PABLO VILLACA, a writer, filmmaker and a film critic since 1994, wrote for many Brazilian movie magazines. 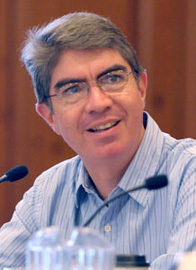 In 2002, he became the first Latin-American critic to of the Online Film Critics Society, and was elected its first non-English-speaking Governing Committee member in 2011. GRACE WANG is a writer, producer, and one of Roger’s FFCs. 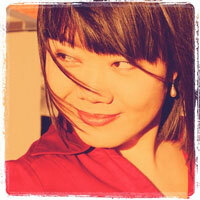 She is a contributing author to various publications, including The Spectators Arts Blog, the books World Film Locations: New York and World Film Locations: BeiJing, and has worked as a programming associate and social media coordinator for the Toronto Film Festival and Toronto Reel Asian Film Festival. Grace is fluent in Mandarin and Cantonese and muses at Etheriel Musings and @etherielmusings. In her spare time she practices as a lawyer, daydreams on public transport, and has a weakness for red shoes and good people. Grace has lived and worked in 8 countries on 3 continents. She currently resides in Toronto, Canada.